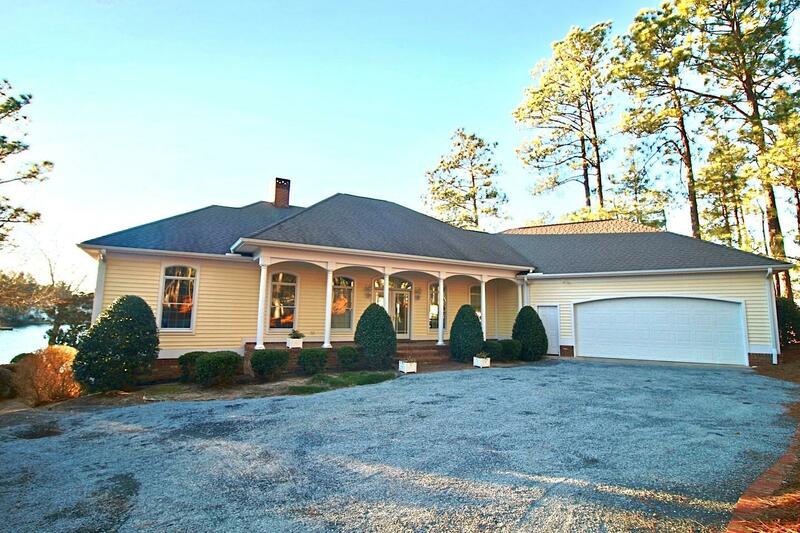 This lovely, one owner home, has some of the vest views Lake Auman has to offer. Although built in 2000, the wide open floor plan is like those built today. The Kitchen opens to an amazing Great Room with fireplace and all living spaces overlook the Lake. The Master bedroom is on the main floor and the office could also be used as a main floor bedroom as it has a full bath adjacent to it. There is also a half bath and formal dining room on the main floor. On the lower level are two more bedrooms and a wonderful living space...perfect for a pool table and it features a second fireplace. There is also plenty of lower level storage. The backyard is quite large with a double dock and bulkhead. Don't miss this amazing lakefront property at Seven Lakes West. You will be on vacation EVERY day!